A new 'Star Wars' movie! Whatever. I remember how I felt the first time I learned that the years ahead would bring new "Star Wars" movies. To say I was thrilled beyond reasonable belief is an understatement. After years of rumors, we would, in fact, learn how Anakin Skywalker became Darth Vader. We would see a young Obi Wan Kenobi. Man, we would see light sabers again! Of course, to many of us, George Lucas' "Star Wars" prequels, beginning in 1999 with "Episode I -- The Phantom Menace" and ending in 2005 with "Episode III -- Revenge of the Sith," were disappointments. They were sluggish, poorly edited affairs. Still, they represented -- at least to a degree -- the vision of Lucas, who had started his space saga in 1977 with its fourth chapter. With movies one to six, even with the unusual order in which they came to us, there's a beginning and an end. So when news broke today that Lucas' sold his Lucasfilm Ltd. to Disney for $4 billion or so and that Disney would make new "Star Wars" movies and release the first one in 2015, my first reaction was something along the lines of, "What? That's crazy! I had no idea that was going to happen!" My second reaction was "meh." I have no idea what the storylines will be in the new movies. My guess is that they will follow the adventures of the children of Han and Leia, Jacen, Jaina and Anakin, who were trained as Jedi knights. With talk of Disney cranking out a new film every two to three years, "Star Wars" continues to evolve into a mere brand, ceasing to become anything special. But, heck, if they make good movies, that will be great. Somehow, I don't think they will. 5. (tie) “Silent Hill: Revelation 3-D,” $8 million. 7. “Here Comes the Boom,” $5.5 million. 10. 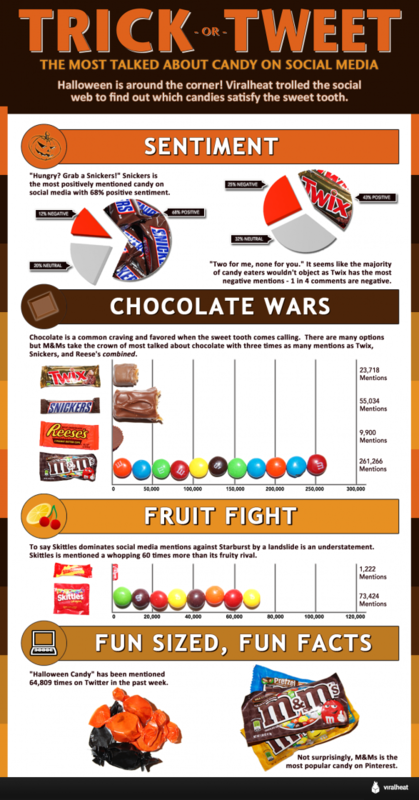 “Fun Size,” $4.1 million. Judging by the Top 10 at the box office this week, I'd say it's getting close to Halloween. "Paranormal Activity 4" takes the top spot in its debut weekend. "Sinister" ekes (or is it eeks this time?) out a spot at No. 6. And two kid-friendly films with ghoulish themes keep dragging families out to the theaters. “Sinister,” $9 million ($2.3 million international). “Here Comes the Boom,” $8.5 million. Ohio has been getting a lot of attention during the presidential campaign as President Barack Obama and running mate Vice President Joe Biden vie against Republican duo Mitt Romney and Paul Ryan and their surrogates criss-cross the state. With appearances all over Ohio and constantly changing schedule it's hard to keep track of where they'll show up next. A weekend getaway to Hocking Hills with a bunch of my college friends for Ohio University's Homecoming last weekend, involved some detours as we drove through Lancaster. Romney was making a visit and roads were closed all over town. Regardless of who you support (or don't support), you might be getting annoyed at the amount of attention (cough, pandering, cough) Ohio is getting, which seems unlikely to diminish until after the election. "The Daily Show with Jon Stewart" summed up my feelings (and probably the feelings of people all over Ohio and elsewhere in America) in the following clip from Tuesday night's episode. Despite all the good buzz and good reviews of "Argo," it took second place at the weekend box office, behind last week's winner, "Taken 2" -- although the top two were pretty close. 3. "Sinister," $18.3 million ($4 million international). 5. "Here Comes the Boom," $12 million. 10. "The Perks of Being a Wallflower," $2.2 million. It's hard for me to imagine liking a best-of album more than I like "Gold Dust." In fact, I have fairly intense feelings for Tori Amos' recently released compilation -- or at least a compilation of sorts. Amos -- one of my favorite musical artists -- didn't just take a bunch of her hits and fan faves and slap them together in a traditional best-of album. Instead, she rerecorded those songs. She didn't just stop there, however. Amos worked with a longtime collaborator, John Philip Shenale, who wrote orchestral arrangements for the numbers, adding orchestration -- or more orchestration -- to them. As someone who most treasures the songwriters lush, melodic side, I find the results spectacular. The album is loaded with some of my favorite Amos songs, including "Marianne," "Jackie's Strength" and "Winter," done just beautifully. Better, though, is that songs I've liked but never truly loved -- the B-side "Flying Dutchman" most notably -- are very compelling with this treatment. Other highlights include "Programmable Soda," "Yes, Anastasia" and the title track. I would imagine the criticism one would have for this album is that Amos did not seek to reinvent these songs. They are not greatly reworked but instead highly recognizable. It would be a fair criticism. For me, though, the refining she's done here -- the fresh polishing, if you will -- is just wonderful. For a longtime fan of Amos, "Gold Dust" is pure gold. Just a quick podcast to announce our event coming up next week. 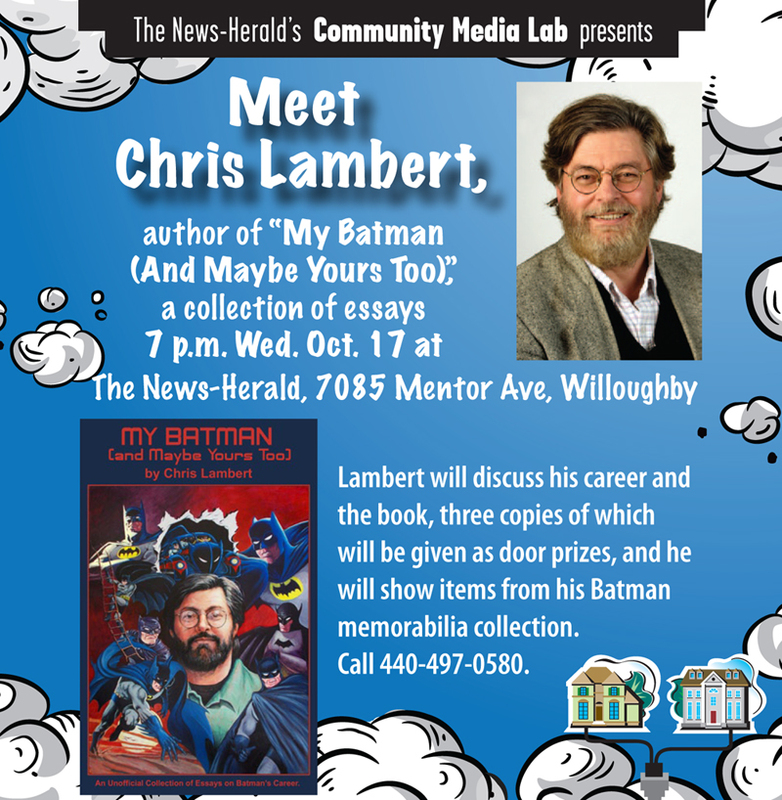 Meet author Chris Lambert, author of "My Batman (And Maybe Yours Too)" at 7 p.m. Oct. 17 at The News-Herald, 7085 Mentor Ave., Willoughby. Lambert will discuss his career in comics and his latest book, three copies of which will be given as door prizes. He'll also show items from his Batman memorabilia collection. The event is free, but we'd like a headcount; call 440-497-0580 to RSVP. Apparently "Taken 2" is not just a guilty pleasure for Mark Meszoros, considering the rest of you helped it rake in $50 million this weekend. I finally saw "Looper," which was AWESOME. If you haven't seen it yet, you definitely should. I'm not a fan of paying full-price for movie tickets, but I think this movie is well worth it. 8. “House at the End of the Street,” $3.7 million.